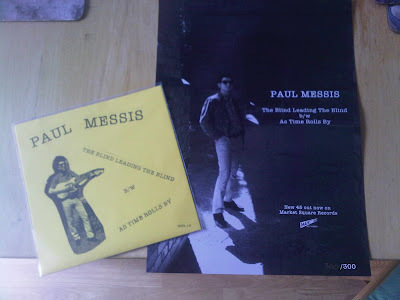 Paul Messis has been releasing music since 2008, he's a well established figure on the underground music scene, this is his sixth solo 45. 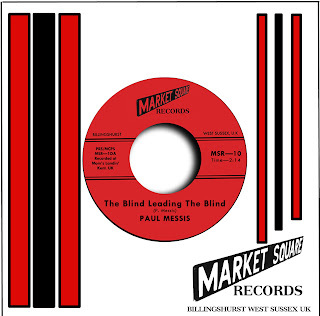 Blind Leading The Blind b/w As Time Rolls By, continues in the 60s garage vein Messis is known for. 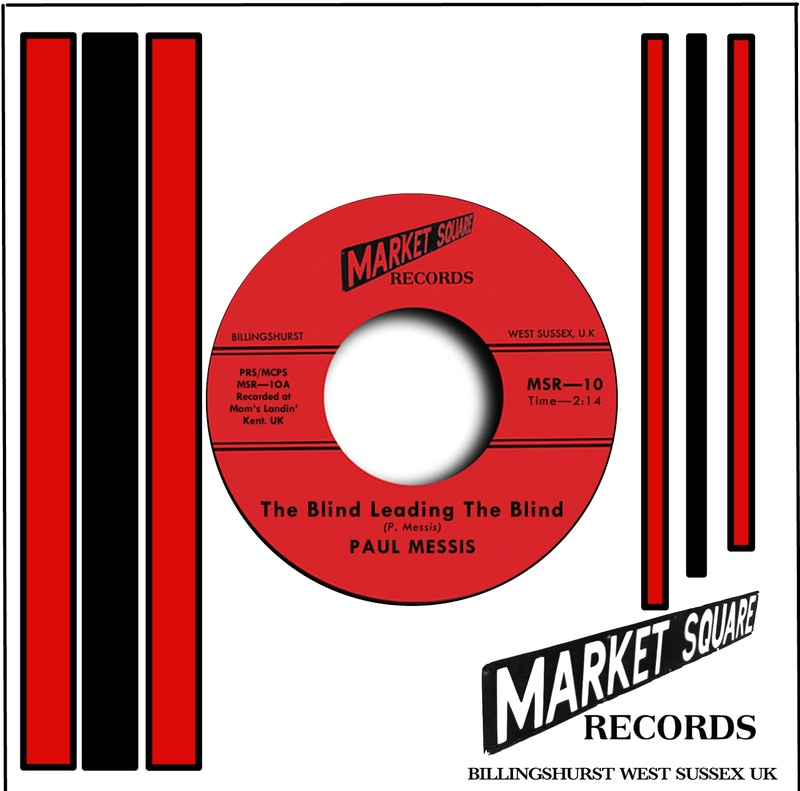 The top-side 'The Blind Leading the Blind' is a jangle led protest song about the state of the world at the moment, the hypocrisy of the media, the self-consumption of the modern age. Musically sounding as though it belong in Los Angeles 1965, the song follows a typical folk-rock chord progression, whilst Messis delivers his angst ridden poetry, expressing his own mis-trust of the established figures which rule society. 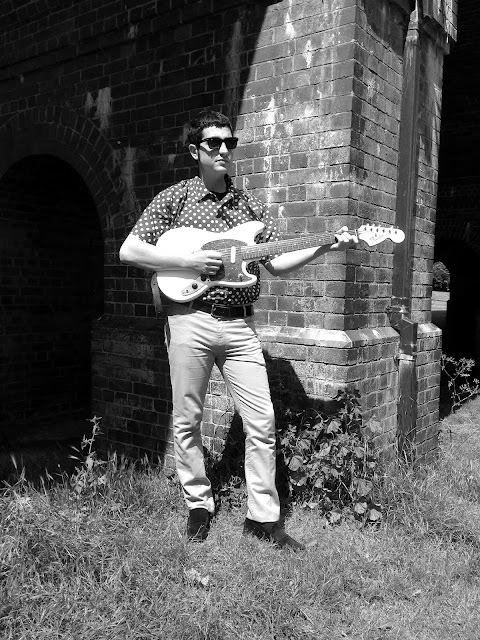 12 String guitar plays a prominent part, jangling throughout, with a Jazz inspired guitar solo in the middle and fuzz tone guitar penetrating through the compression. 'As Time Rolls By' the b-side, continues the 12 string lament Messis is known for, the track is a Dovers-esque downtrodden pop song, Messis portraying his alienation from the world with further lyricism about inner confusion and melancholy, Messis' understated vocal styling adding to the naivety and charm of the track. Limited to 300 copies only, homed in a Market Square company sleeve, contains hand-numbered poster. First 100 copies come in a DIY fold-over sleeve, these sleeve versions will only be sold on Bandcamp to the first 100 buyers of the record.